Summer is a great time to pack up the kids and visit friends and family. However, if you are a morning coffee drinker like myself, you get used to the way you like your coffee. Nothing is worse than to start the day off with a bad cup of coffee. We are moms, we need just one great start to our day! If you are traveling this summer and need a hostess gift idea, I have the best way to guarantee you don’t miss your favorite coffee in the morning. 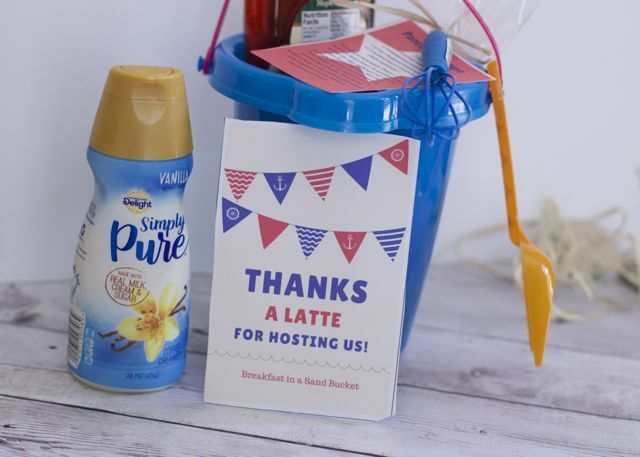 That starts with sharing your favorite coffee creamer in this Breakfast in a Sand Bucket Hostess gift idea. Filled with all the goodies for the hostess and you to make a yummy breakfast and of course your most coveted cup of coffee. 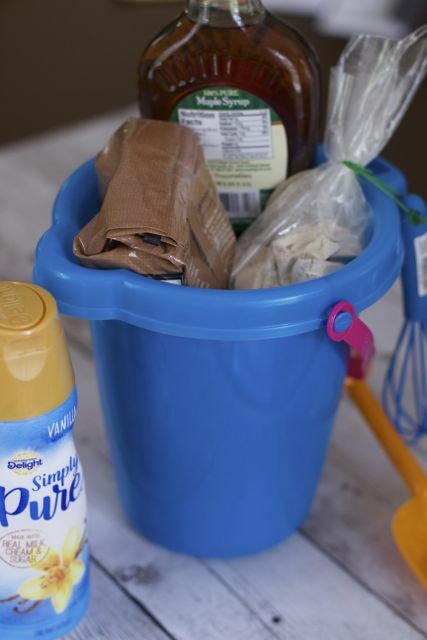 An inexpensive plastic sand bucket, homemade pancake mix, a small whisk, favorite coffee, International Delight Simply Pure Coffee Creamer (any flavor)and maple syrup. 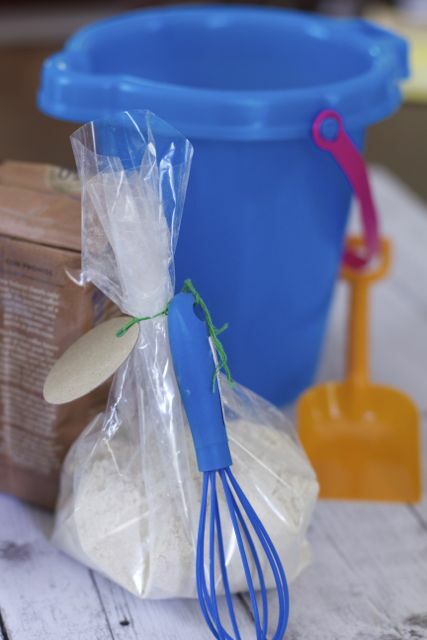 Make the Pancake mix and place it in a cello bag. Tie on the whisk. Add the free pancake recipe printable. Then layer in your gifts, leaving the creamer out so you can transport it in a cooler with ice. You don’t want to deliver spoiled creamer. 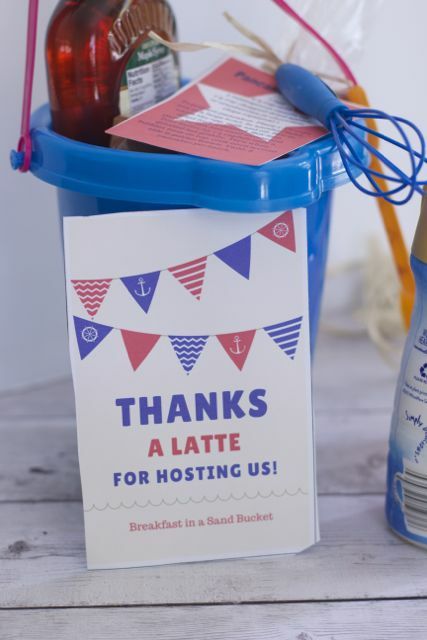 Finish your gift off with this adorable Thanks A Latte for hosting us printable. Perfect for summertime gift giving. Don’t you think your overnight host will love to wake up to having breakfast ready to give their guests. 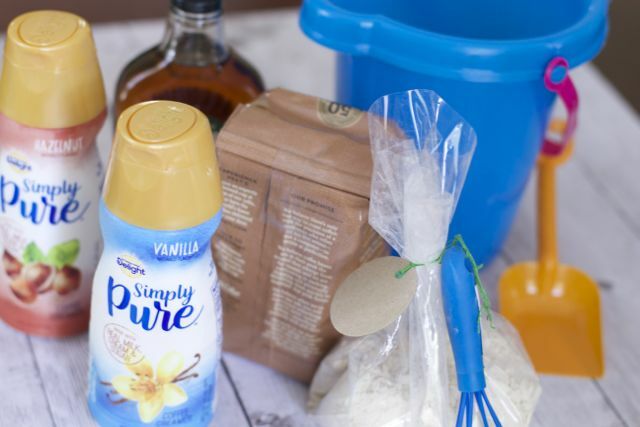 Plus since you brought your favorite creamer, not only can you share the great flavors of International Delight Simply Pure (made with 5 simple ingredients). 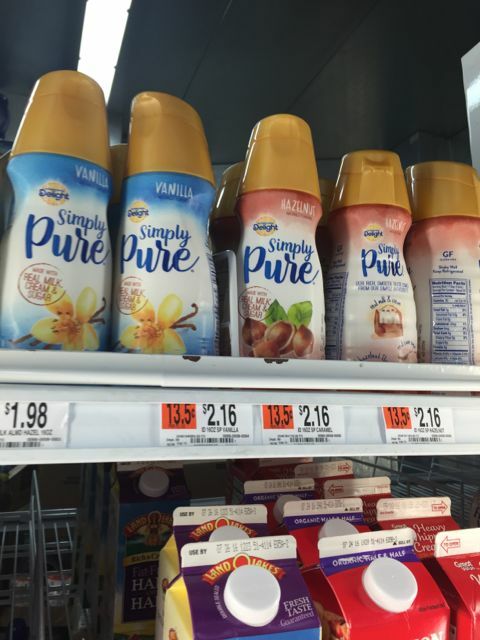 I am a traditionalist when it comes to creamer and finding a creamer that is not filled with other ingredients besides real milk, cream, and sugar in three simply delicious flavors: Vanilla, Caramel and Hazelnut. 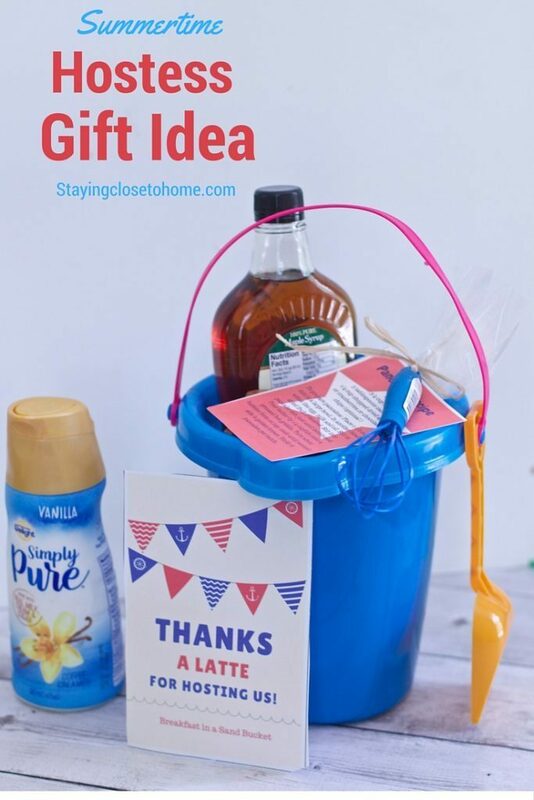 All these items in our Summer Breakfast Hostess Gift idea were found at Walmart. 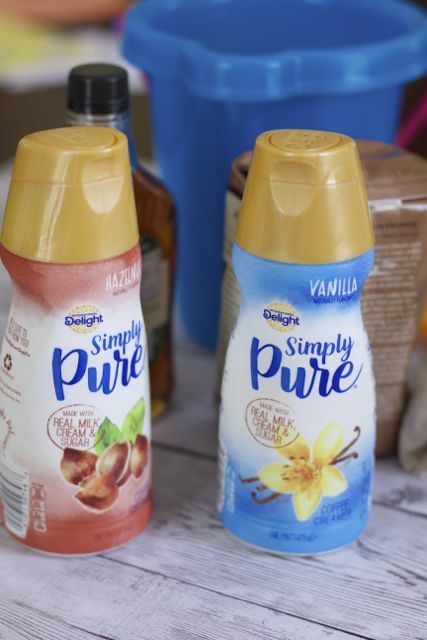 See what other people are creating to go with these International Delight Simply Pure Coffee Creamers. 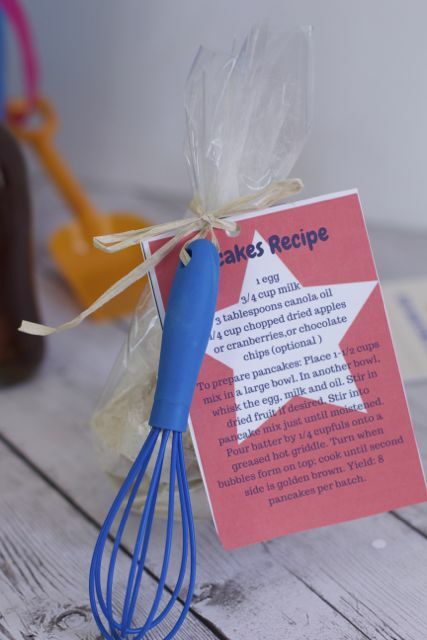 Give a batch of these pancakes in a jar as a hostess gift Pancake mix in a jar. In a large bowl, combine the first five ingredients. Transfer to a 1-qt. jar with a tight-fitting lid. Cover and store in a cool dry place for up to 6 months. Yield: 2 batches (3 cups total). To prepare pancakes: Place 1-1/2 cups mix in a large bowl. In another bowl, whisk the egg, milk and oil. Stir in dried fruit if desired. Stir into pancake mix just until moistened. Pour batter by 1/4 cupfuls onto a greased hot griddle. Turn when bubbles form on top; cook until second side is golden brown. Yield: 8 pancakes per batch. yes you would just have to switch out the printable. thanks so much, the family we visited last weekend loved it. I don’t like to show up empty handed. This such a cute idea and a gift that is sure to be appreciated. Wow, this is a nice idea. I love this and I want to make one, thanks for sharing your creativity. What a neat idea! Love the idea of everything ready to go for breakfast and coffee!! That is the cutest gift idea I’ve seen yet. I am loving the bucket as well perfect fro days at the beach. What a clever way to show our appreciation! I am so going to put one of these together very soon. Love the pancake mix – that has to be my favorite!